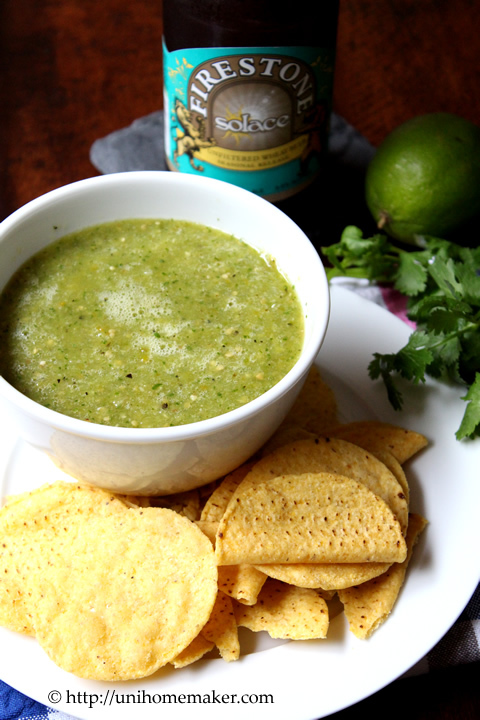 I’m not much of a salsa verde person. 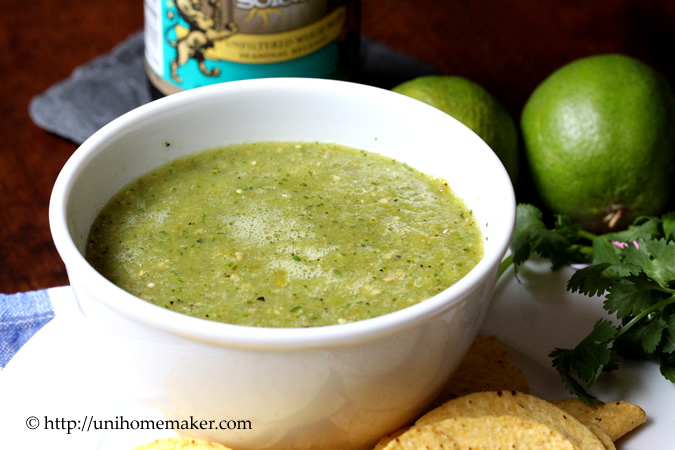 And I can’t tell the difference between a good or bad salsa verde (I’m more of a tomato-base salsa kinda gal). Since it’s made from scratch, I’m just going to assume it’s good. The only reason I made it is for a stew dish (recipe to come soon) and for snacking while I was cooking. Initially I thought the salsa was just OK. But it tasted better as it ages. 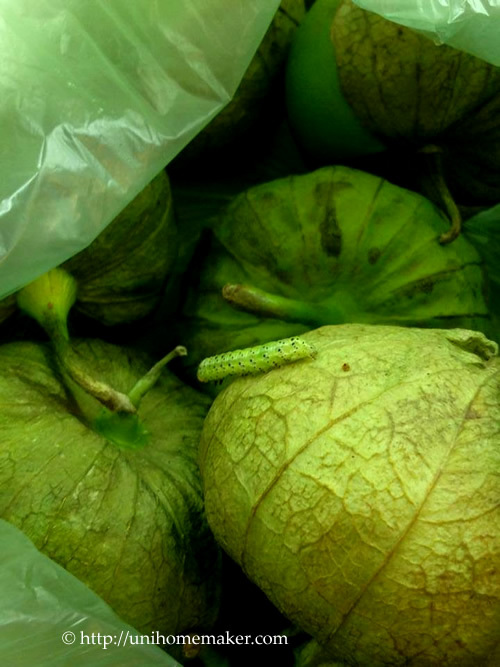 I bought my tomatillos the day before I made this and apparently I picked up a hitchhiker at the market. This spent the night in my fridge. I freaked when I saw it the next day. Chris ended up escorting it out to the front yard. If it was up to me, I would have dropped it into the garbage disposal. Ick! Arrange tomatillos, jalapeño peppers and onion in a single layer on a large baking sheet, placing the tomatillos and jalapeño peppers skin side up under the broiler. Roast tomatillos and jalapeño peppers until charred, about 10-15 minutes. 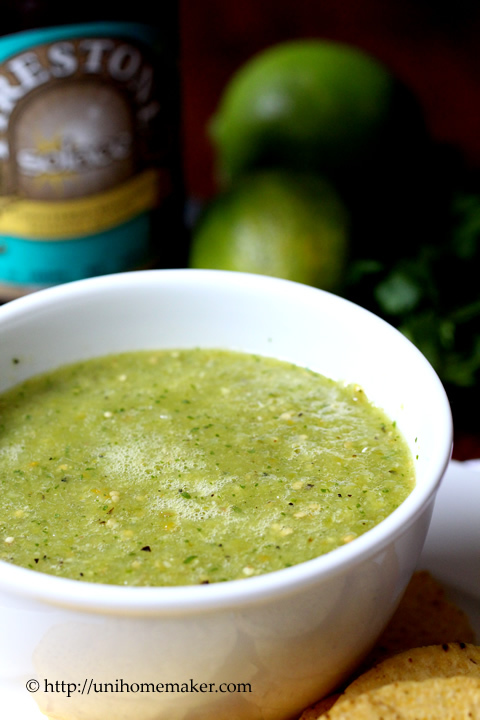 Transfer them to a large bowl along with garlic, green tomatoes, lime zest, lime juice, cilantro, salt and pepper. Using an immersion blender, purée everything until smooth. 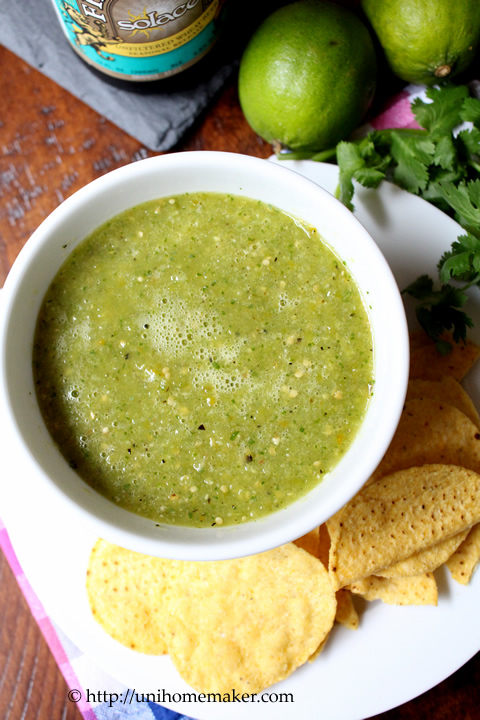 Alternatively, you can use a food processor or a blender to purée your salsa. Check for seasoning before serving.